This latest batch of outfit reveals for Capcom Heroes mode in Dead Rising 4 is a doozy. It warms my heart to see any acknowledgment that Viewtiful Joe a) existed and b) is worth celebrating but, beyond that, I'm also pleased to find that Arthur's exaggerated running animation is straight out of Ghosts 'n Goblins. There's also Amaterasu, Jill Valentine, Morrigan and her excellent bangs, and the big-eyed Bass. That's all in addition to previous costumes like Mecha-Zangief and Sissel. In short, this dress-up-and-kill mode seems pretty dang good -- especially since it'll be free. 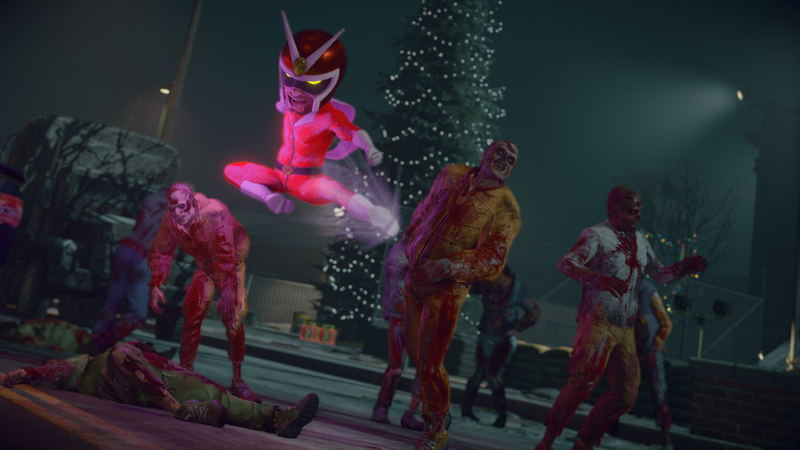 Capcom Heroes launches for Dead Rising 4 on December 5, which is the same day Dead Rising 4: Frank's Big Package releases for PlayStation 4. If you end up pre-ordering the latter (in North America, "at participating retailers") you'll score a free copy of the original Dead Rising for PS4.